Hi everyone! This is a post about my last year working at Hal Studio, here in Porto Alegre Brazil, were I had the opportunity to work together with two friends Felipe Galvão, Gabriel Vedana and make another one Ricardo Rocha. My tasks at the studio are usually modeling, UV's layout and texturing, but sometimes I also assisted in tasks like shading and lighting. The main software we use there was 3Ds Max and Vray for rendering, sometimes Zbrush too. I also used Blender a lot for my tasks, my workflow usually was modeling and making the UV's in Blender, then I export for Max for the team work on the file, to start rigging or testing shading/lighting and things like that. So after that I can start texturing, for this Blender's baking system helps me a lot to get some maps to start texturing. One thing that really like to use is the Dirty Vertex Colors, because is so easy and fast to generate and baking, it's really helps to enhance the details in your textures and other maps. The FBX import/export also helped me to switch between Blender and Max, or vice versa, because I can export material IDs from Blender to Max, so I just have to setup the shaders there. Also with FBX I can bring the camera from Max to Blender or vice versa, which sometimes is really usefull. This shoe was a small participation in an autoral project from Ricardo (Running Man), and it's also one of my first works at the studio. He did everything in the project, except from the cloth simulation which was done by Romano Cora and the shoe by me. 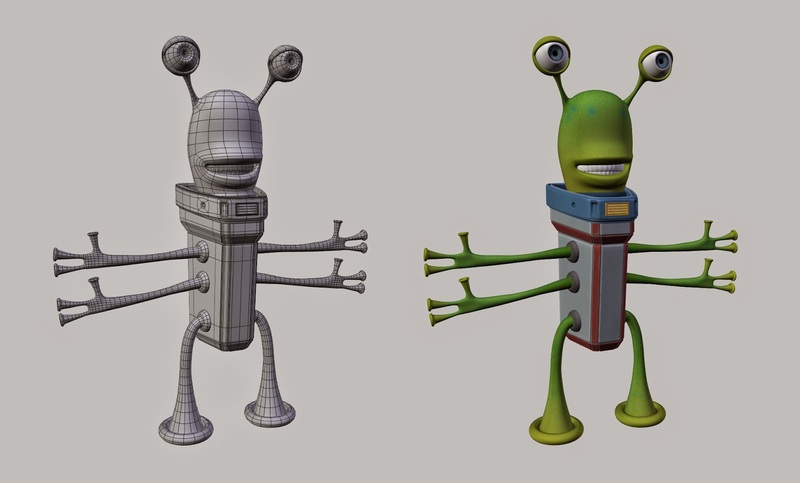 In this another project I had the oportunity to design this green dude and his space ship, modeling and texturing this two assets, I also modeling another ship from another character. You can see the final result of this job here, and an animation here. This job was done to the agency Martins Andrade to the client Fiat Tramonto. This is another cool work we did at the studio, an animation for a snow park. 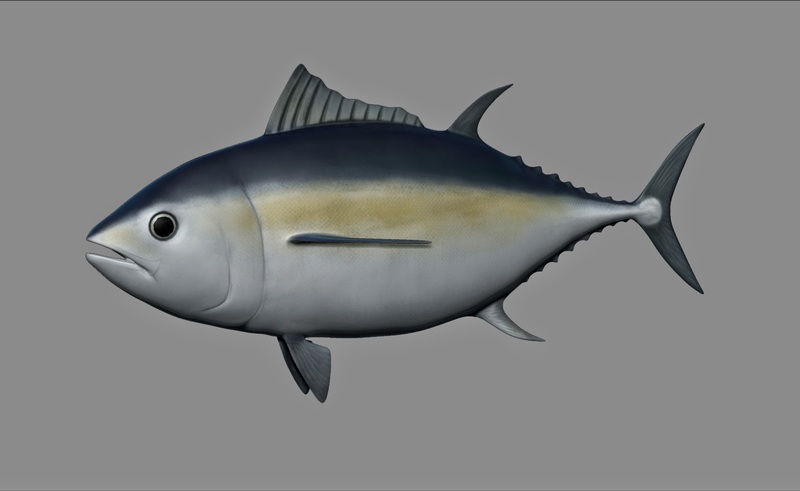 We did a 30 seconds animation of an underwater scene, full of marine animals, this was done to the client Snowland. 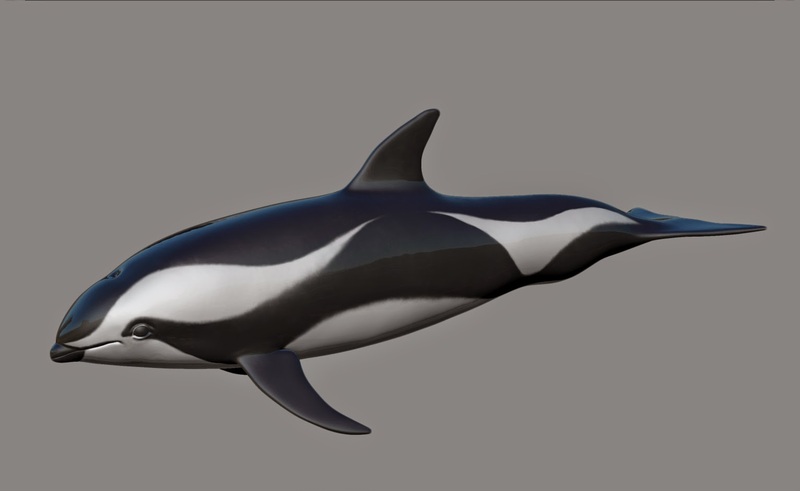 I was responsable for modeling the animals below and the penguin. 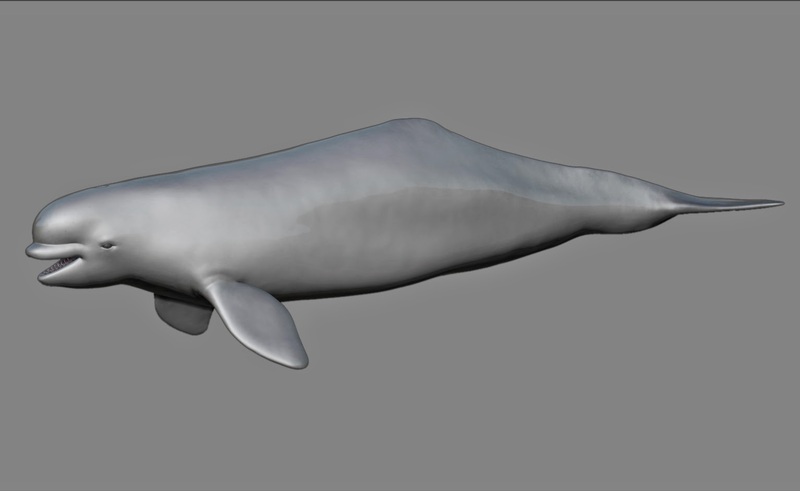 Felipe and Gabriel were responsable for the animation, Ricardo did the look dev, lightning, scenery modelling, light rig, post-production and the blue whale. 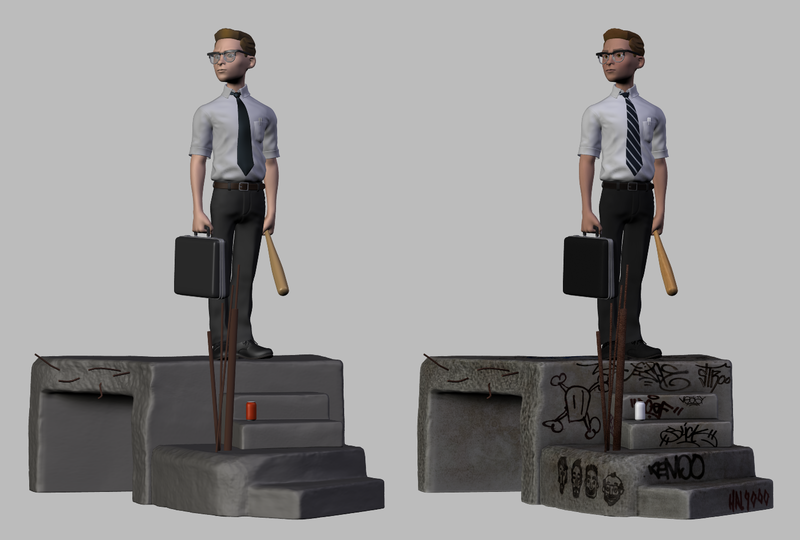 This is was an autoral project of the studio, the idea was to do a short movie inspired on the movie Falling Down. 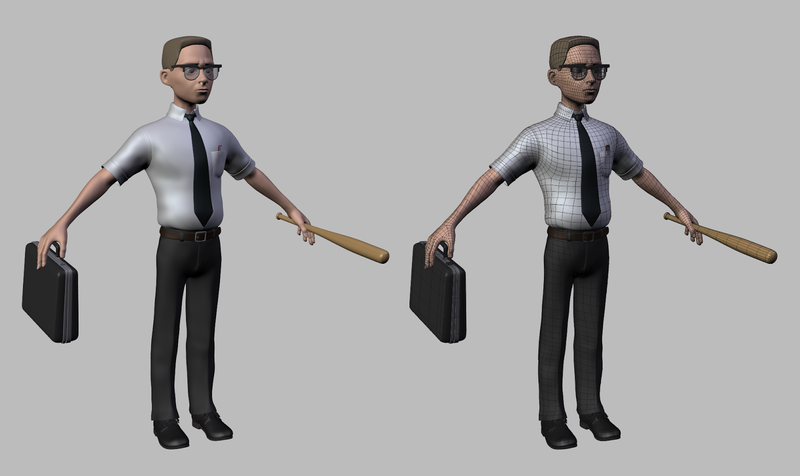 I developed the character with the help of the team, did the modeling, texturing, shading, except the lighting, which was done by Ricardo. This character was done for the agency Com Foco Endomarketing, to the client Kimberly Clark. 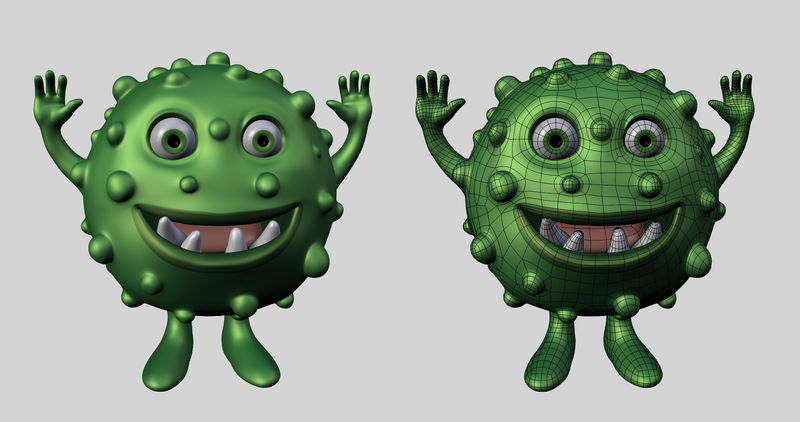 In this job I was responsable for the sculpting/retopology, texture and high frequency details. This a funny character done for agency Centro, to the client Unimed. 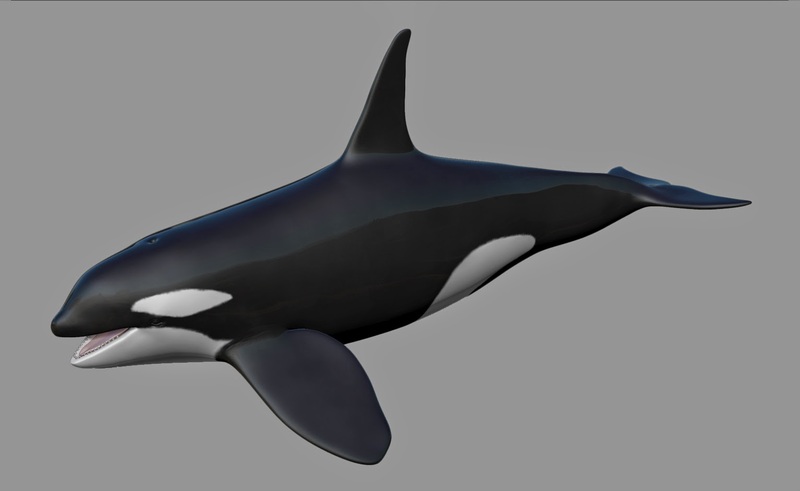 In this one I did the sculpting/retopology and a litte bit of texturing. *NONE OF THE IMAGES OR VIDEOS IN THIS POST ARE LICENSED UNDER CREATIVE COMMONS. handle such information a lot. I was looking for this certain information for a very long time.